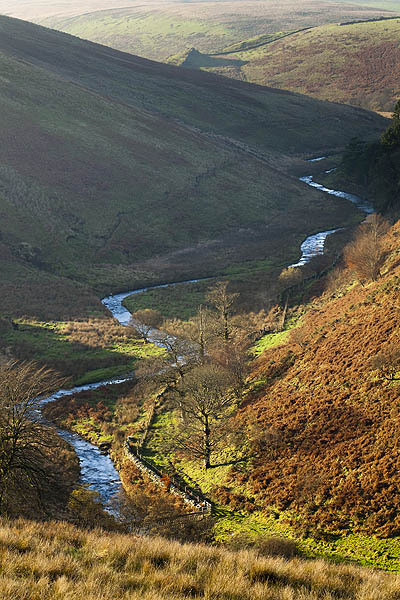 The River Barle meanders through the almost barren landscape of Exmoor National Park at Cornham Brake on it's way to Simonsbath in the late afternoon sunshine on a fine autumn day. Simonsbath. Exmoor National Park. Somerset. November 2014. Location: Simonsbath. Exmoor National Park. Somerset.